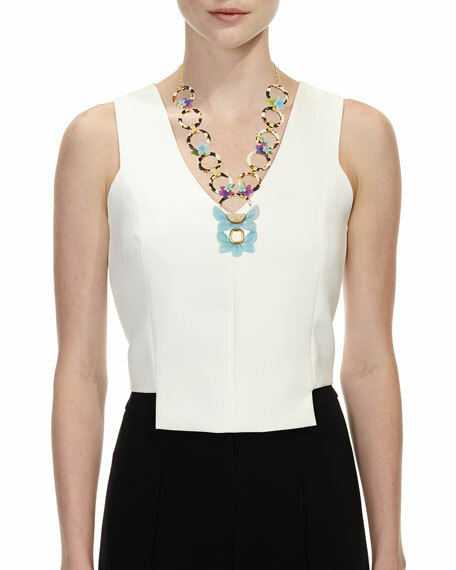 Rio crystal floral necklace by Lele Sadoughi. Polished 14-karat yellow gold-plated brass. Chain-link strand with open floral-motif rings. 10 circle stations with floral details and drop. 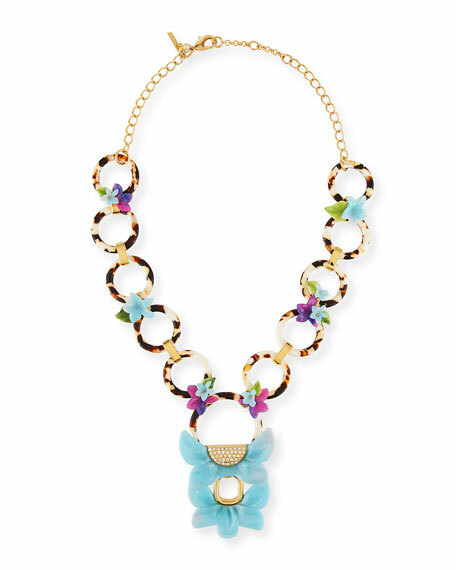 Open floral pendant with clear crystal pavé. For in-store inquiries, use sku #2531443.